The amount of wildlife in Ridgeview Ranch never ceases to amaze me. I guess it’s the benefit of living adjacent to the golf course. 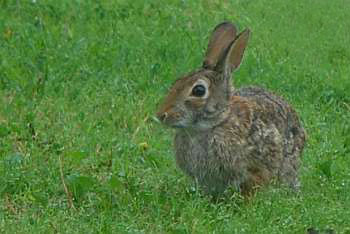 Rabbits are abundant and we even see coyotes several times a year. Ridgeview Ranch is a master planned golf course development of about 885 homes located in the heart of north Plano. The community consists of four distinct communities – The Villages at Ridgeview Ranch, The Estates of Ridgeview Ranch, The Manors at Ridgeview Ranch, and Ridgeview Ranch West. Community amenities include two pools, a fitness center, playgrounds, parks, and the Ridgeview Ranch Golf Course. See all Ridgeview Ranch Homes for Sale. See all Collin County Golf Course Homes for Sale.